There are many reasons to visit Oman but not many people seem to know about them. To change that I wrote this post! There were so many amazing off-road routes in Oman! My favorite one was the road through Wadi Bani Awf, it was breathtaking! 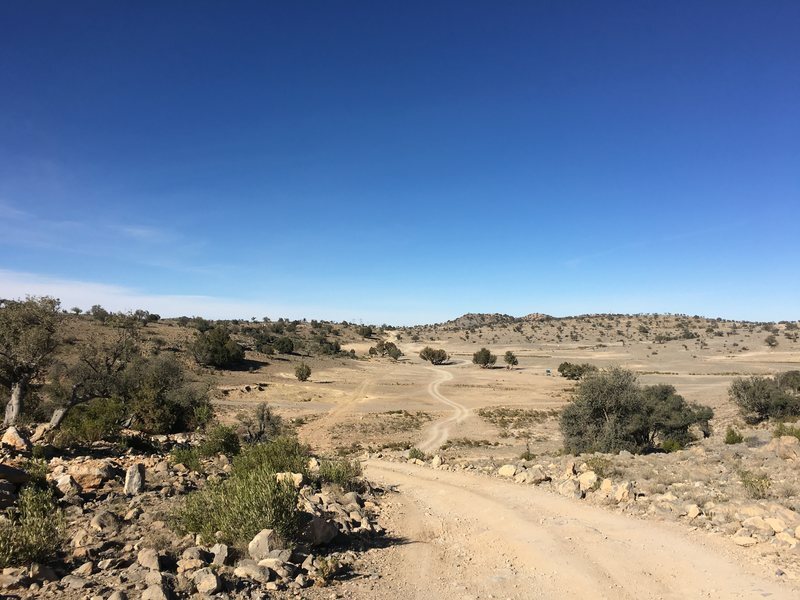 We drove up a steep pass and the higher we got, the more incredible the views… Other great off-road tracks we took were the dirt roads in Jebel Shams and the Eastern Hajar mountains. Be sure to get a good off-road guidebook before you set off. The people in Oman are very welcoming and always happy to help! We were invited for karak (traditional Omani tea) and dates at Bimmah Sinkhole, guided to the most beautiful secluded pool in Wadi Tiwi by a friendly 18 year old boy and always greeted by the local people when we were exploring one of the tiny mountain villages on foot. And whenever we stopped at the side of the road to check our map, within seconds a friendly Omani pulled over to ask if we needed any help. 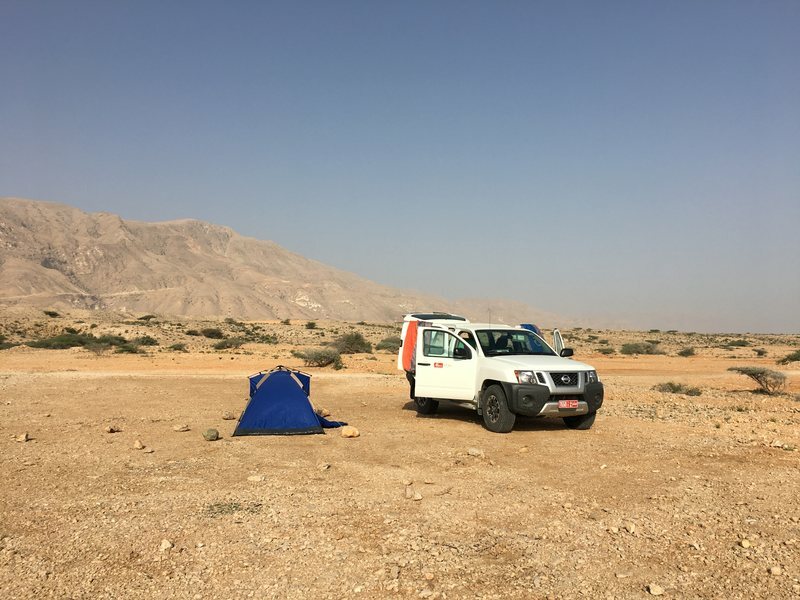 Wild camping is legal in Oman and totally awesome! You can pitch your tent anywhere, as long as you don’t camp near villages or in wadi beds (risk of flash floods). Of course you need to clean up your trash, but other than that there are no restrictions to where you can camp! So pick your preferred spot, be it the beach, the mountains or the desert! Anyone fancy a dreamlike oasis? 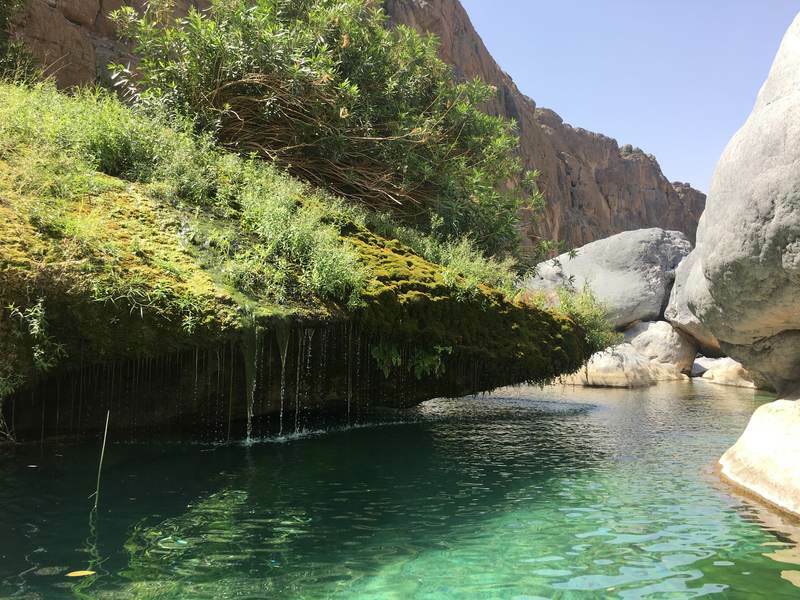 We visited several amazing wadi’s with wonderful fresh water pools and nobody but us to enjoy them… My favorite one was the secluded pool in Wadi Damm with green moss curtains and crystal clear water (see picture above), doesn’t it look like paradise?! 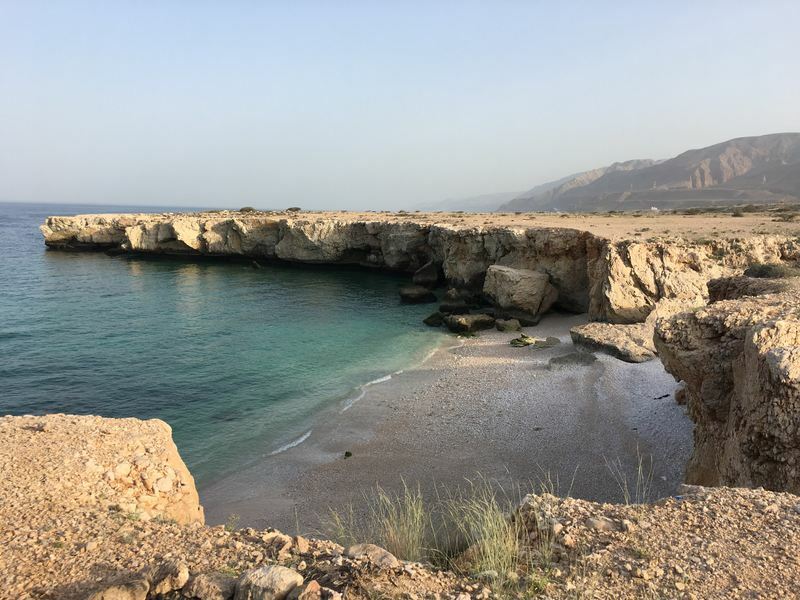 With a coastline of 1700km it’s not surprising Oman has some pretty amazing beaches?. This little beach near Wadi Tiwi was perfect for a morning of snorkeling. 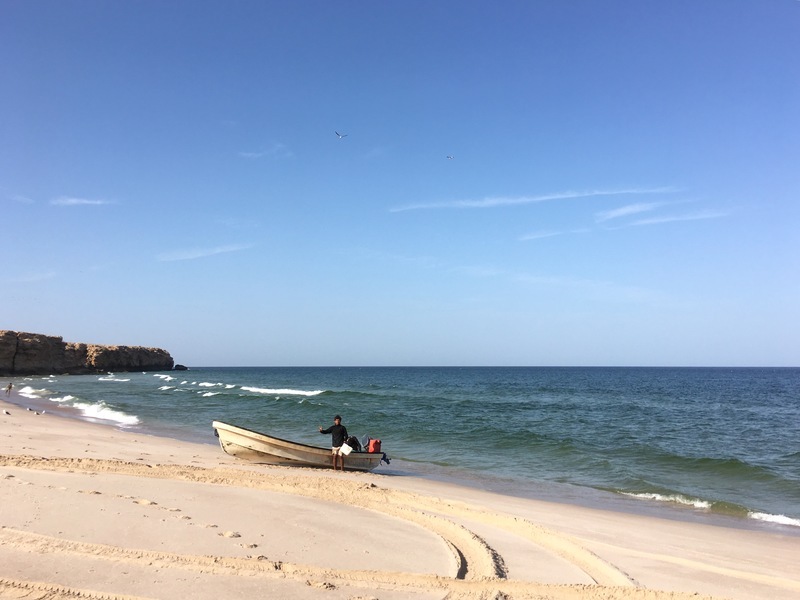 If you drive further south you’ll come across Ras al Jinz beach, the easternmost point of Oman. This beach is an important turtle-nesting site (so don’t disturb!). 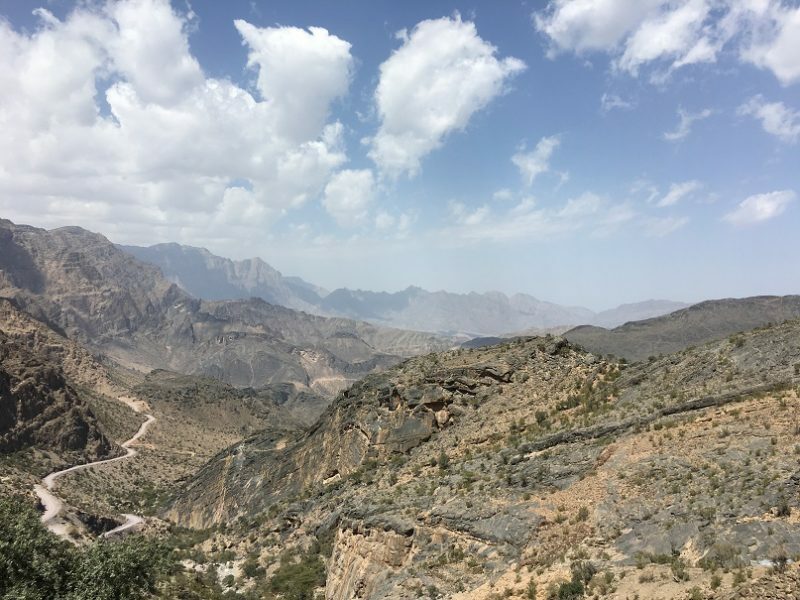 Oman continuously amazed me with it’s brilliant scenery, the mountains are gorgeous… The tallest mountain in Oman is Jebel Shams which is 3000 meters high. The Jebel Shams area is hauntingly beautiful and also referred to as the Grand Canyon of Oman.Be sure to hike the Balcony Walk, a trail leading along the edges of steep cliffs that drop down for hundreds of meters. You better pay attention to where you are going, even though that’s difficult with stunning views all around! I visited Nakhal Fort which was built in the 17th century and beautifully restored, see picture above. Another fort I visited and really liked was Bahla fort, a UNESCO World Heritage Site built in the 13th century). 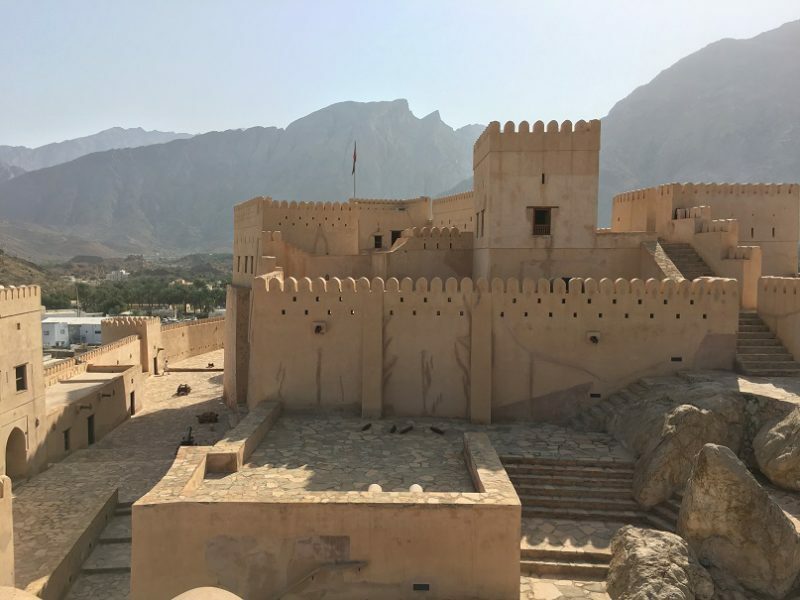 But since there are over 500 forts and castles in Oman I barely scratched the surface of fort exploring?. The paved roads in Oman are in excellent condition and very quiet once you get out of Muscat. A little warning, while we always kept the speed limits none of the Omani did! There are tourists in Oman… but you have to look very carefully! We camped for 11 nights and only came across other people twice. When driving over the amazing dirt roads we rarely came across other tourists, only local people driving to their secluded mountain village in a 4×4.In Wadi Damm and Wadi Tiwi we went swimming in beautiful pools and there was nobody else around… When we visited Nakhal fort, we were the only Western people in the building (though we were surrounded by a class of curious Omani school children?). 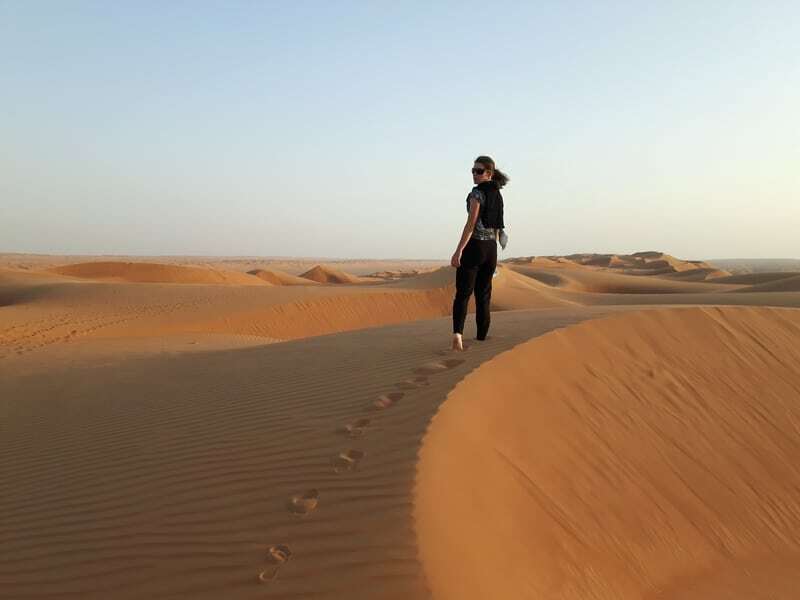 Long story short: you will have the beauty of Oman all to yourself! I hope I have convinced you to pay Oman a visit, you won’t be disappointed!